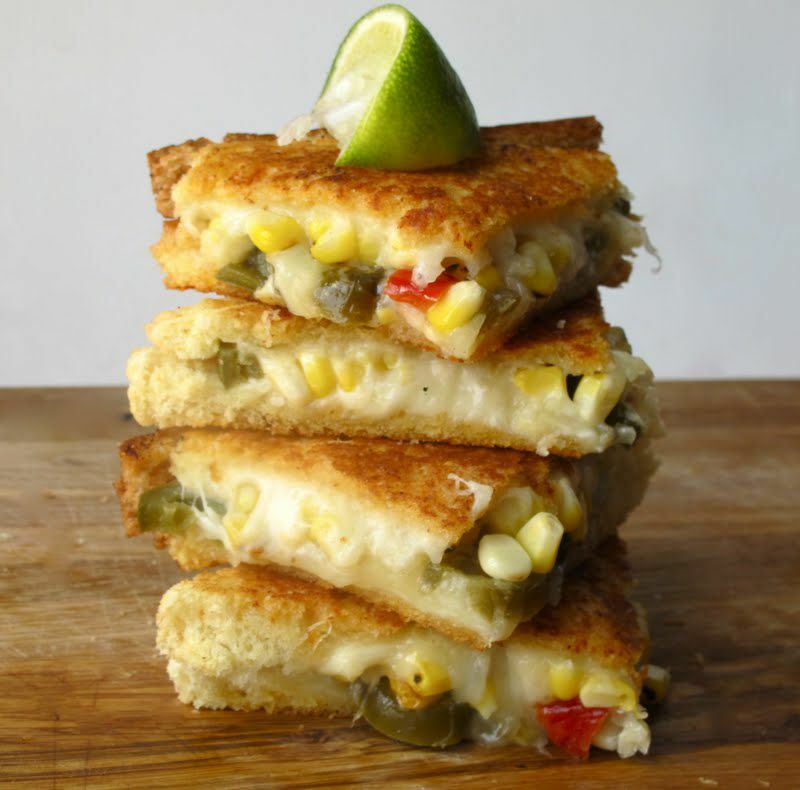 Buttery roasted corn, spicy jalapeno peppers, and rich manchego cheese come together in this zesty grilled cheese. Begin by adding half of the shredded Manchego cheese onto one slice of Texas toast. Shave the kernels off of one ear of corn and sprinkle a bunch of the kernels on top of the Manchego. Next, add the rest of the cheese on top of the pickled jalapenos and the roasted corn and then finish by topping it with the remaining slice of Texas toast. I recommend adding about 1 tablespoon of pickled jalapenos, but you can add as many or as less as you'd like. Butter the exterior of the sandwich and set aside. Heat a medium sized cast iron skillet or panini press over medium heat and add in the buttered sandwich. Let the sandwich cook for a few minutes on one side until the crust has become a golden brown color and the cheese has begun to melt. When the sandwich is ready, remove it from the heat and let it sit for a few minutes before serving. Right before you eat it, hit it with the juice from one wedge of lime. French Fries on the Grill? Yes, It's Possible!